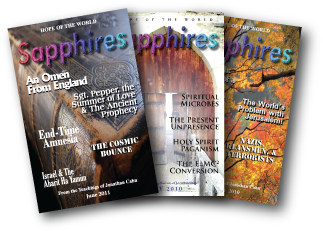 A Gift Subscription to Sapphires Magazine – Power & Strength for victorious living. Add a super-spiritual vitamin supplement for your faith. With Messianic teachings, daily devotions, the Jewish roots of your faith - for a victorious life in God for every day of your week! Jonathan Cahn's teachings are known for presenting the Gospel message in its long-lost Biblically Jewish context, flavor, richness and depth, its ancient mysteries and prophetic power after two thousand years. When you become a member, you also receive these two special messages as welcome gifts absolutely FREE! 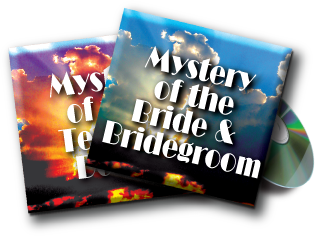 One of the most beautiful mysteries ever…The grand story of redemption, the mystery of existence, the mystery of God and you -- revealed in the ancient biblical Hebrew marriage. One of the most amazing mysteries from Eden to the Holy of Holies to the cherubim and Messiah! Including, the amazing signs that appeared in the Temple when Messiah died -- recorded in the Hidden Writings of the Rabbis! Specials via Email - including prophecy updates, news behind the news, what to be aware of and watch out for as an end time believer, Special teachings & words to strengthen and encourage you in your walk, updates on the Great Commission, the newest messages, And More! Your support, both prayerfully and financially, has made the work of this ministry possible. For a monthly commitment of $10 or more receive the benefits of membership.